Appendix C of the book lists a number of useful LEGO websites (both official and unofficial). You can access those same links here. 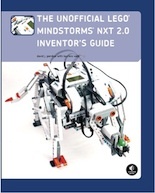 Programming Solutions for the LEGO MINDSTORMS NXT: Which approach is best for you?